The cargo is said to be worth an estimated R50 million. A Russian cargo vessel alleged to be illegally carrying explosives, and weapons of mass destruction, has been detained and ordered to anchor in Algoa Bay, 15km off the Nelson Mandela Bay coastline, Herald Live has reported. It was reported that authorities confirmed that the cargo on board the ship is dangerous, however, it remains unknown what the final destination for the explosives is. The Hawks are now handling the matter but the unit refused to comment, but police have opened an investigation into the alleged contravention of regulations under the Non-Proliferation of Weapons of Mass Destruction Act as well as the Explosives Act. The weapons were seized on Sunday at the Port of Ngqura when the Russian ship was offloading containers which had the right permits, according to the newspaper. On board the ship, 20 other allegedly illegal containers were found. The publication reports that a tip-off led to the bust which followed an investigation by the Port Elizabeth Explosives Unit. An official who spoke on condition of anonymity it was believed that some of the illegal explosives were headed for Nigeria and others for the United States. The weapons seized are reportedly worth an estimated R50m. 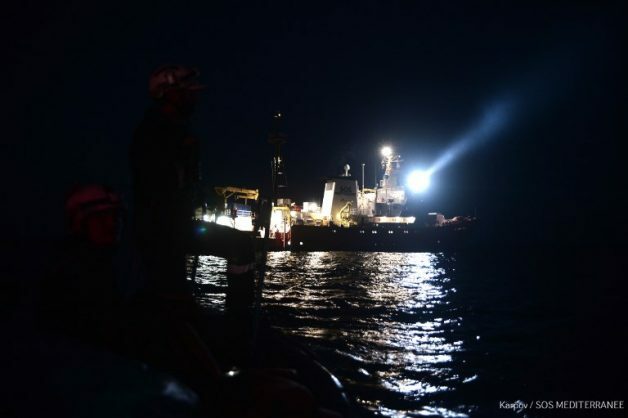 The manager of the port, Tandi Lebakeng, confirmed to Herald Live that the Russian vessel had been placed under arrest and that port officials know about the alleged weapons of mass destruction on board the ship.